Shohaku Okumura is a Soto Zen priest and Dharma successor of Kosho Uchiyama Roshi. He is a graduate of Komazawa University and has practiced in Japan at Antaiji, Zuioji, and the Kyoto Soto Zen Center, and in Massachusetts at the Pioneer Valley Zendo. He is the former director of the Soto Zen Buddhism International Center in San Francisco. His previously published books of translation include Shobogenzo Zuimonki, Dogen Zen, Zen Teachings of Homeless Kodo, and Opening the Hand of Thought. 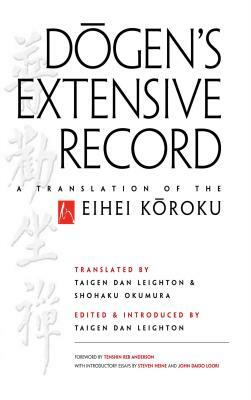 Okumura is also editor of Dogen Zen and Its Relevance for Our Time and SotoZen. He is the founding teacher of the Sanshin Zen Community, based in Bloomington, Indiana, where he lives with his family. Reb Anderson Roshi moved to San Francisco in 1967 to study Zen Buddhism with Shunryu Suzuki Roshi, who ordained him as a priest in 1970. Since then, he has continued to practice at the San Francisco Zen Center, where he served as abbot from 1986 to 1995 and is now a senior dharma teacher. Anderson Roshi lectures and leads retreats around the world, and is the author of Warm Smiles from Cold Mountains and Being Upright. He lives with his family and friends at Green Dragon Temple, Green Gulch Farm, near Muir Beach, in Northern California. John Daido Loori was, until his death in 2009, the spiritual leader and abbot of Zen Mountain Monastery in Mt. Tremper, New York. Trained in koan Zen as well as in the subtle school of Master Dogen's Zen, he was the Dharma heir of Hakuyu Taizan Maezumi Roshi. Devoted to maintaining authentic Zen training, he developed a distinctive style, called the Eight Gates of Zen, based on the noble eightfold path. Drawing on his background as scientist, artist, naturalist, and Zen priest, Abbot Loori was an American master who spoke directly to students from the perspective of a common background. His books include Mountain Record of Zen Talks and The Heart of Being.